Even if you or many believe they have essentially said that, they want nothing less than such a public statement. Does the GOC-K statement convince either of you of SiR’s “repentance”? I think that GOC-K should have anticipated the mistrust and suspicion even without the offending portion of the statement. But to have some ambiguous phraseology (relative to other GOC statements: 1935, 1974, etc) in their document along with SiR bishops saying that nothing has changed in their stance in their publications is suspect. Nonetheless, I rejoice in the union and consider the detractors to be heresy-hunters that won’t rest until the former SiR hierarchs come groveling on their knees to them for Confession. Perhaps they should apply such rigorism to the originators of their own synod, and if not, live and let live. By way of this document, which constitutes an Orthodox Confession of Faith, the Hierarchs of the former Synod in Resistance set aside their previously formulated ecclesiological views, which they also withdrew from their official website. They have also stated in writing that they will not henceforth employ terms and phrases antithetical to the ecclesiological basis of the Union document. a3. The contents of the Union document, which the Hierarchs of the former Synod in Resistance today confess and proclaim with full knowledge and sincerity, leave no margin for doubt as to their mind-set, which is in every respect Orthodox. a4. The Hierarchs of the former Synod in Resistance have, through their Orthodox Confession, and also through their self-sacrificial actions, forcefully emphasized the genuineness of their mind-set and attitudes, inasmuch as they • dissolved their distinct Synod; • relinquished all of their pastoral prerogatives; • placed their prodigious pastoral and missionary work under the protection of our Synod; • displayed exceeding humility; • regretfully accepted any responsibility on their parts for the estrangement from 1984 onwards and its ramifications. a5. Our Hierarchs were fully aware, by the Grace of God, of the demands that they were making of the Hierarchs of the former Synod in Resistance in joining our Synod, especially after an arduous dialogue of many months’ duration, which was brought to fruition by the Orthodox Confession and action of our brethren. The RTOC is blind and the GOC-K is all wise??? This is why the GOC-K didn’t even knwo they were in communion with Patriarch Ireneaous. Any person reading the document you posted may say it is contradictory. The outline of the document is such: the Cyprianites gave up their former ecclesiology, but there ecclesiology was not heretical. Than why give it up?? The SiR are either Heretics (as RTOC has proclaimed) or Schismatics which should have either way been accepted (willingly i might add) by correction and not a joint statement/concelebration. All of this could have been avoided if the Cyprianite bishops just submitted. This begs the question why did they insist on a joint statement and not just the humble correction. Because…as Etna and Cypriane stated, they have not changed. Red Herring, as if the GOCK is arrogant and “all-wise” simply because RTOC is blind to the documents released. Do you know what constitutes an act of heresy? A persistent and pertinacity a denial of the truth of some dogmatic fact. 1. The bishops of Our Synod did say that if Metropolitan Cyprian had dogmatically insisted on his perspective he would have been heretical, but given that his opinion was not dogmatically enforced, it does not constitute a formal heresy, because there was not the necessary dogmatic insistence. There are no accidental or half-hearted heretics. Granted, the matter of which his opinion consisted was potentially heretical, as our bishops stated. Stop ignoring that please and deal with the entirety of the document. It is right to give up an erroneous opinion that is potentially heretical! Are you saying that it is not necessary so long as it is only an erroneous and POtENTIALLY heretical position? 2. You grossly misinterpret Metropolitan Chrysostom of Etna. In your dealing with your parishioners, do you deal with them according to the principles of unrelenting strictness or moderation? Moderation. Moderation wins the day in terms of PRAXIS, and general demeanor and disposition. This is what Metropolitan Chrysostom said, that none of our PRINCIPLES of moderation have changed, in other words the fundamental governing trait of our episcopacy, which has been to ACT in moderation, will not give way to fanaticism, as perhaps some feared. This is totally irrelevant from any charge of “Cyprianism” and your willful persistence in false dichotomies is the bane of why we True Orthodox are divided. 1. Patriarch Ireneos does not have any communion with the hierarchs of World Orthodoxy, or its priests. 2. 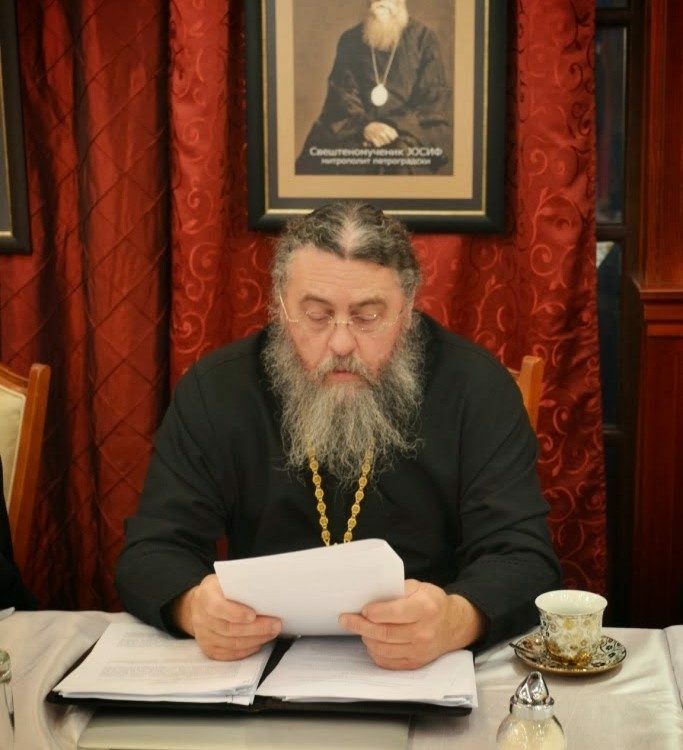 Patriarch Ireneos recognized that ROCA was the legitimate ROCOR and that ROCOR had made a mistake by going to the MP. How then must he view the MP?! 3. That he was informed of the Union of ROCA with our synod and raised no objection. This doesn’t bring about a crystal clear scenario, but it raises reasonable doubts that enable us to be patient with the situation. Patience! Besides, how can the RTOC condemn us of it doesn’t even have communion with us? For them, we are not the Church anyway. What right then do they have to Judge those outside their own house? Or is the condemnation a tacit admission that we were the Church until 2014? 1) Creation of a synod is insistance enough. GOC-K has never condemned the Sir becasue they have the same “children of night” roots…..all other traditional synods have condemned them. “Neither His Grace, Bishop Auxentios nor I (referring to himself ie Etna)”….”would ever attach, or have attached, our names to a document saying that New Calendarists and Ecumenists are heretics, are outside the Church, and as such, are without mysteriological Grace”. I think you are blind. Read another recent comment from your Bishop Andronik. 3) Patriarch Ireneaous’ continuously petitions to obtain his rightful seat in World Orthdooxy. If you are denying this, than you are blind. This is well known. This is why your synod has asked M Agafangel to stop commemoration immediately. Did you read the letter from B Photius to ROCOR-A? 4) We all have our roots in ROCOR. So I think RTOC can opine on their brothers. It is similar to us condemning the Ecumenists. They are ensuring that the world and their people stay clear of questionable theology. Wasn’t Bp. Lazarus, the founder of the RTOC, in communion with SiR via ROCOR under Met. Vitaly? I can answer that– yes. He was, as was Bp Benjamin. 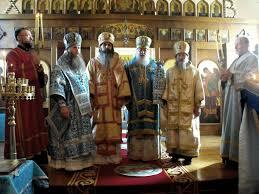 After the ROCOR split in 2001, they formally condemned communion with the SiR. What happened after that… is another story. Like him or not, one can’t fault his logic if one seeks to be consistent with the contemporary RTOC stance. I would say things look consistent in hindsight…. The RTOC justification, as far as I am able to understand, is that Met. Vitaly and the others were not fully aware of the teaching of Met. Cyprian; or, it is something like Cyprianism was not officially anathematized in name (although, in the above, they link it to the 1983 Anathema, there were subsequent declarations by the ROCiE, RTOC and ROAC in the 2000s, some as late as 2006, which gave a formal anathema). Gregory of Colorado’s consistency can be no less confused or torturous than the above if you take into account the fact that ROCOR did not officially issue a document repudiating communion with certain World Orthodox (see the ‘infamous’ Nativity Encyclical of Met. Vitaly) even after the anathema; and Abp. Anthony of San Francisco (I know from the personal testimony of one priest who lived through it) did on a somewhat ‘regular’ basis concelebrate with ‘certain’ Serbian priests. Agreed. That’s why I find the all scrupulous rigorism to be self-defeating. The branches end up having to cut to their own trunks to remain consistent. 1) Is SiR’s repentance and the GOC-K statement good enough in your opinion to clear them of so-called crypto-ecumenism? 2) Who accepted the numerous eastern Sees “back into Orthodoxy” after the Monothelite heresy? Or the Acacian Schism which involved the Monophysite heresy? Didn’t they merely repent? Even if one can say that Orthodox Rome accepted them, no one in the East thought they were outside the Church and then accepted back into the Church by communion with Rome. What say ye, Fr.? 1. Anastasios and others can answer the first question. I will just say that is is strange to say the GOC-K secretly (crypto) believes that non-Orthodox are part of the Church. I do not believe that is at all accurate. In Monothelitism’s case it could easily and uncontroversially be placed at the Sixth Ecumenical At the opening of the Sixth Ecumenical Council, the bishops and presbyters who were the legates of Pope St. Agatho read a letter stating the belief of Orthodoxy in the Two Wills, Divine and Human, of the Lord Jesus Christ. Most the bishops present accepted this, except for Macarius of Antioch, and some others. This would constitute the reconciliation of all those bishops outside the Church to Orthodoxy. In the Acacian Schism, which is extremely complicated, an ‘uncontroversial’ point would be the reconciliation, endorsed by the Emperor Justin, and Patriarch Justin II, as well as demanded by the people, with Pope Hormisdas and the bishops he sent, in 519. If they thought that, and they were clearly condemned they were wrong. If they thought that, and there was some room for ambiguity then it was left alone. If they thought that, and they were not condemned, then there was no controversy. Of course GOC-K does not believe that, rather, I wanted your opinion on if the statement sufficed to convince you of SiR’s repentance of “Cyprianism”. At the Sixth Council, the bishops who had previously accepted a monothelite confession (or were ordained by or in communion with those who did) weren’t really considered heretics on trial to be received since they were full participants in the Council. There is no record of a mass repentance, and those considered to be heretics outside the Church can’t participate in Orthodox Councils. Fr, Roman Catholics would love the idea that the other four Patriarchates were outside the Church and had to made Orthodox by communing with the Pope of Rome. You can’t seriously believe that the emperor and those eastern bishops considered that they were accepted into the Church by accepting the confession of Pope Agatho. He didn’t say that. He said that they confessed to the council by accepting the confession of Pope St Agatho, which was Orthodox. By the way, in the same confession, they clearly anathematized Pope Honorius as a heretic, which many Roman Catholics didn’t love *as an idea*, and have tried to claim through many different odd attempts that it didn’t happen. But they were participants in the Council (therefore they couldn’t “confess to council” because that would be confessing to themselves). They certainly did not consider themselves, the Emperor and the four Patriarchates to be heterodox ungraced penitents confessing to the Pope and being received into the True Church by receiving Pope Agatho’s statement of faith. Anyways, thank you both for your informative responses. The major problem with this argument is that Pope St Agatho wasn’t even there– though some Western bishops were. The key error here is the assumption that there weren’t Orthodox Bishops there because of all the Easterners. The Synod took over 10 sessions: it began with 47 Bishops and only two of the Patriarchates (the other two sent representatives, as well as the Pope’s legation, also composed of Bishops.) Indeed, by the end, all four were there, and St Agatho had already reposed. It’s important to remember that upon St Agatho’s discovery of the Emperor’s request he convened councils in the West to confirm the Orthodox teaching in advance of the council. *Those* Bishops represented him. By the first session the Patriarch of Constantinople accepted St Agatho’s teaching as the Orthodox teaching. So they didn’t necessarily have to be received by the Pope– he never attended a session. Admittedly, there was a level of deniability involved: those present at the council only had to subscribe to the Orthodox teaching and affirm the anathema of their predecessors. It was probably a better option, if they already found the heresy distasteful, to stick with St Agatho’s confession. But the easiest explanation is probably the right one: the majority of clergy were not Monothelites, put up with the heretics one to two decades, some fighting them since the 630’s, and by 640, the most notorious of the heretical leaders had died off, and Orthodox took their place, a council needed to finally shake off the taint of monothelitism. In short, for many of the “successors” of the Monothelites at that point, there was little to repent of– they had either been little involved in the heresy or active opponents. Thank you both. My only point for bringing Theodore of Mopsuestia and the Monothelites up is to demonstrate that explicit condemnations with groveling hierarchs publicly and explicitly admitting their errors was not ALWAYS the way those in error were reconciled. Sometimes things were done with prudence and discretion for the greater good. I doubt St. Agatho, Leo II (who succeeded him), and others, were willing to force the issue so much as to provoke a psychological reaction; for them it was sufficient that they anathematized monothelitism, its founders, and acceded to the Orthodox Christological belief. Of course, Theodore of Mopsuestia was anathematized 150 years after he died, long after those who had re-united and might have been offended had reposed; therefore, there was little danger of a massive schism (although there was the Istrian Schism, which lasted for no more than 150 or so years, in Northern Italy). Wait a second, Maximus. If you read the minutes that is not quite what happened. 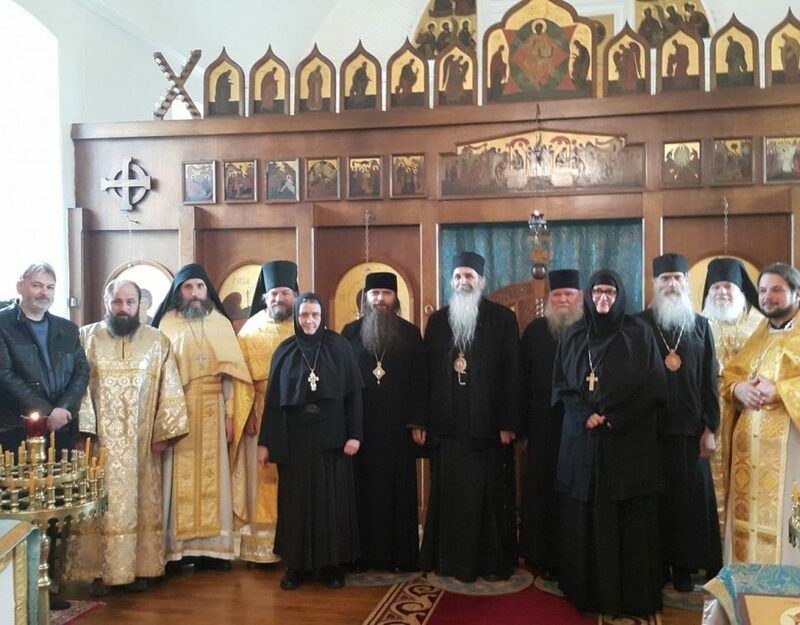 The Emperor invited representatives of the Orthodox Churches in the West to attend. The first 11 sessions were held with the Emperor and imperial juridical officials moderating, and in this sense, the initially opening of the gathering was closer to the Conciliabulum debates between the Severians and Orthodox held int he mid 500s under the auspicies of St. Justinian and his legal scholars. When the gathering began, it was held in the imperial Trullan Palace (and not in a Church). The Orthodox in the West refused to sit with the Patriarchates that confessed Monothelitism, but, instead both sides were divided, with the emperor sitting with his legal officials in the middle in order to moderate things. The Emperor Constantine Iv, and others, as I understand, did not believe it was to be an ecumenical council, but rather a moderate discussion / debate between the True Orthodox side and everyone else. The pro-Monothelite Patriarchs of Antioch, Constantinople and Alexandria and others were seated on the right side of the Emepror; on the Emperor’s left delegates of St. Agatho and other bishops who maintained communion with St. Agatho in decrying monothelitism as heresy and refusing communion with those who wouldn’t. The Gospel book was placed in the middle of the hall. At the First Session, the Emperor bade St. Agatho’s legate read his prepared letter on the matter; the Monothelites were allowed to give a reply stating they did not accept St. Agatho’s teaching as correct, and thus both sides regarded the other as heretics. The next three sessions were moderated by the legal officials of the Emperor in which each side was allowed to debate the other (and thus similar to previous conciliabulum called by Emperors between Orthodox and non-Orthodox; though, certainly not an ‘ecumenical’ meeting!). All the sessions of the Council lasted around 11 months altogether. By the time of the Fourth Session another long letter was written by St. Agatho, addressed by to the Emperor and others imperial officials, explaining the Orthodox Faith, i.e., that the Lord had Two Natural Wills and Two Natural Operations. The letter is very long but it condemns all the originators of Monothelitism and names them, and excerpts their writings and contrasts them to the holy Fathers. Finally, St. Agatho in his letter to the Emperor and others states that the Orthodox will admit the Archbishop of Constantinople into communion if he will accept the Orthodox teaching, otherwise he will have nothing to do with him, but is subject to the dreadful consequences ordained by God. Then the letter of the Orthodox Synod of Rome in 680 which confirmed the Lateran 649 Decree was read condemning the heresy. Notice that they say, “All who HAVE TAUGHT” they anathematize. So, if they taught Monothelitism, or their consecrators did, and never renounced it, they acknoweldge that they were cut off from the Church. The Emperor then asks the Patriarch of Antioch, who proclaims that Monothelitism is the true teaching and the Roman Popes and other Orthodox bishops who did not submit to Monothelitism were heretics. Monotheletism had been condemned as an heresy by numerous Synods. The Lateran Synod of 649. Communion between the Orthodox in the West was refused with all those in the East who endorsed the Monothelite position. Numerous other Synods ruled in favor (Toledo and Hatfield, other Roman Synods). One would consider their assent to the Letter of St. Agatho “We accept….” to be the same. Those who participated had to agree to the anathematization of Paul, Cyrus, Sergius, Honorius, etc. What Papists think is neither here nor there. The Eastern bishops who accepted Monothelitism were indeed heretics (Greece, Illyria, Macedonia, etc, NEVER accepted the Monothelite doctrine, nor communion with Constantinople because of its Monothelite teaching). If they had some torturous or complicated explanation as to why they were in the Church and were not monothelites, and it satisfied God, that is enough. 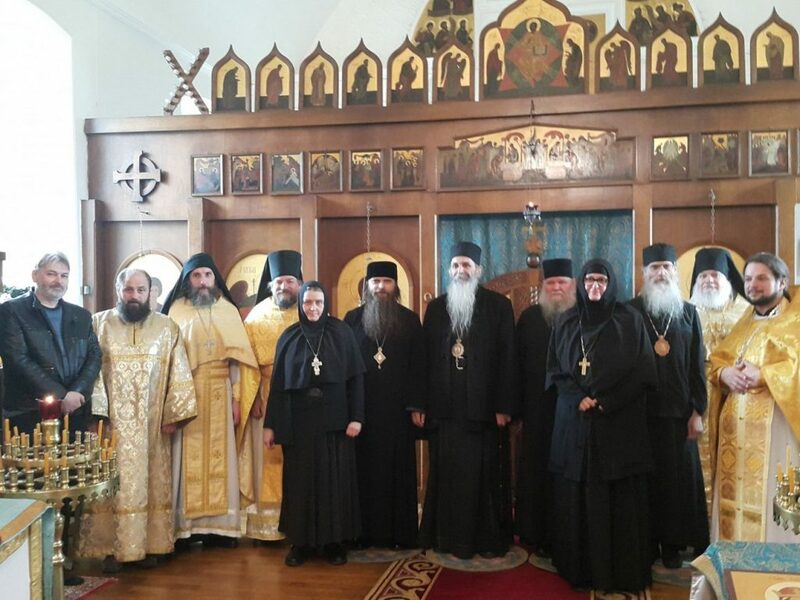 I guess those 3 bishops thought that since the Greek Church had no bishops, confessing to the highest hierarch they could find (Archimandrite Matthew) would be good enough in such an extraordinary situation. At this point, on the outside, it seems only Almighty God really knows who is canonical. I have seen no evidence that they confessed in some formal ceremony and were received by Archimandrite Matthew. This is only something I’ve heard stated by some Matthewites. Bishops confessing their part in a schism to an archimandrite and subsequently being accepted into the Church by the archimandrite? The lesser blessed the greater; is such a thing even possible? And devoid of Grace at that time. I think the problem is no with confession, but the claim that Metropollitan Chrysostom of Florina and Metropolitan Germanus of Demetrias were ‘received from schism’ by then only Archimandrite Matthew. What Maximus (Marlon) is referencing is the comment I made about how some Matthewites have claimed that a Priest can receive bishops from heresy-schism. From what I understand is that Archimandrite Matthew witnessed their confession of faith, but until they declared against the schism, as such, there was some wiggle room. The Matthewites themselves attest in their publication “The Herald of the True Orthodox” that this period was a gray area. “As one such occasion, they presented injudiciously that confused and turbulent period immediately after the imposition of the New Calendar when the Genuine Orthodox Christian Old Calendarists apparently had no bishops. ” But that occasion cannot be compared with the real reasons why the wretched jurisdiction of Chrysostom remained headless so many years. 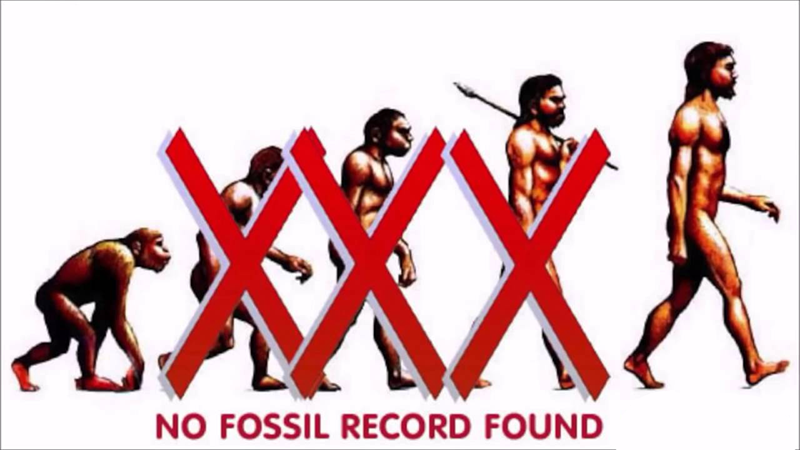 The reason is that the [New Calendar] schism did not happen automatically; it took years for it to become official. The Polemic against metropolitan Chrysostom aside, it shows the mentality at the time was that the Hierarchs at that time who returned returned as Orthodox. Cheirothesia was performed on the Metropolitan of Zakynthos as a precaution since he was consecrated when the State Church was in schism. The two Metropolitans (Germanos and Chrysostomos) had the “form” of the Bishops because they were consecrated before 1924 i.e. they were Orthodox before the calendar innovation. They fell into the schism and they were accepted into Orthodoxy by the Old calendarists – archimandrites, priests, laymen – Church Axios. They accepted them on behalf of the Church by Confession of Faith. The same situation occurs with the single handed consecration of the late Archbishop Matthew – the Orthodox Church is One, Holy, CATHOLIC and Apostolic – Church Axios – the people and the clerics choose and approve such an act – that’s the only canonical way of doing it – the 3 rules of consecrating a Bishop. In 1948 the Matthewites, being the only True Orthodox in Greece, approved the single handed consecration. It’s not a “papal” thing as some rigorous Florinites say, it was an Orthodox thing, because the whole Church wanted this to happen, especially during the time of persecutions. So, as I understand then, the Matthewite explanation is that priests and laymen, even with no bishops, can accept schismatic bishops out of schism, if they were originally Orthodox? Before the 1930s, when was there an example of a community without Bishops accepting Bishops who were fallen away? Where the Bishop is there is the Church, according to St. Ignatius of Antioch. I think that’s exactly what the Matthewites believe. In the history of the Church there are few examples of this – the first came up to my mind is in the life of St. Sabbas the Sanctified when he as an abbot and Theodosius accepted into Orthodoxy the former Patriarch Ioan (John) who had fallen in heresy. This example was read during the 7th Eccumenical Council as a proof of accepting heretics with laying on of hands. Are you sure you are not confusing Sabbas of Studium with Sabbas the Sanctified? In Session I of the Acts of the Seventh Ecumenical Council you have St. Sabbas of Studium (who lived in the late 700s, as opposed to St. Sabbas the Sanctified who reposed in the early 500s) recommending to St. Patriarch Tarasius that Iconoclast bishops be received back upon a Correct Confession of Faith. But, then again, there were True Bishops there to act upon the recommendation of St. Sabbas. Could you help and point to me where in the Acts of the Seventh Ecumenical Council it said St. Sabbas the Sanctified (as opposed to Studium) received Patriarch John III from heresy? Hm, I don’t know, I thought it was St. Sabbas the Sanctified, because it is in his Life (четье-минее). The source that I have states this – p. 7, pages 58-59. I’ve read about two or three occasions when priests received Bishops in Orthodoxy, but I believe there were always Orthodox Bishops left who can confirm the economia of the acceptance. Maybe the only case when there were no Bishops left is among the Beglopopovtsy Old believers and the acceptance (by Chrismation) of Metropolitan Amvrosii Popovich. Can you give a link to his life? From looking at something, what happened was that the Orthodox Patriarch of Jerusalem was removed by the Emperor Anastasius at the urging of Monophysites. In his place they put a Bishop John (of Sebaste??? ), who we know as Patriarch John III. Patriarch John III initially condemned St. Sabbas and St. Theodosius, since Bishop John was actually consecrated BY MONOPHYSITES AFTER THE FOURTH ECUMENICAL COUNCIL, and thus he would be both an heretic and a schismatic at the time of his consecration! At that point, St. Sabbas and St. Theodosius eventually convince Patriarch John to accept Chalcedon and to reject Severianism (a form of heretical Monophysitism); St. Theodosius and St. Sabbas with Patriarch John went to the ambo of the Church of the Holy Sepulchre and Patriarch John is to have read some statement rejecting monophysitism and acceting the Orthodox teaching, i.e., Chalcedon. Assuming St. Sabbas and St. Theodosius were no acting on the part of Orthodox bishops, and it simply them as priests acting, we here have a case far more extreme then just receiving bishops originally consecrated Orthodox but later being associated with a schism (Met. Chrysostomos and Met. Demetrias); we here have a case of Orthodox priests receiving men consecrated as members of heretic-schismatic bodies being receiving into the Church for the first time merely by an open Orthodox Confession of Faith with it being witnessed by simple presbyters. However, were these actions later ratified? In a certain sense, I suppose they were, since Emperor Justin (and his nephew the young Emperor Justinian), in 519 (?) were able to effect the end of the “Acacian Schism” (Monophysite-Henotikon Schism in the East), with the union between the now former heretics but now ORthodox with Orthodox Church of Rome (Which had refused any union or communion with any clergy that were in anyway in communion, directly, or indirectly, with Monophysites). What exactly do you believe about the Old Believers? As I recall, St. Sabbas and St. Theodosius remained loyal to the true Patriarch, St. Elias who was expelled by the emperor, in favour of the intruder John. However, St. Sabbas always acted as the legate of St. Elias; ergo, St. Sabbas, only being a priest, could reconciled a bishop conscerated by condemned heretics and schismatics, if he was acting on the part of an Orthodox Patriarch like St. Elias. If that is the case, it is not a priest ‘acting alone’ without hierarchical sanction, ergo, to compare this to the case of supposedly Archimandrite Matthew reconciling Met. Chrysostomos and Met. Demetrias, you would have to prove that Fr. Matthew was acting as the legate of some Orthodox bishop and with sanction, otherwise, there is no historical precedent of presbyters and laity being able to give the priesthood to people who have lost it. Perhaps you’re right, but that’s the common Matthewite thinking nowadays. Fr. Steven Fraiser wrote in his book something else – that the three Metropolitans had the Grace between 1924 and 1935, so many of the Matthewites nowadays described him as an “Old calendar eccumenist”. That’s exactly what they believe happened in 1976 also. All the Matthewite Bishops accepted laying on of hands from ROCOR i.e. fell into heresy (because according to them ROCOR was a heretical Church) and then reinstated their Orthodox status by….. themselves. You see, I believe that many of the nowadays Mathewites have little in common with Archbishop Matthew – 20 years of Kyrikos/Goudzidis influence can do that. That’s an interesting point, and one I never considered. I notice that groups continue to fall into the errors of which they accuse others. An honest historical rendering would admit flaws throughout due to the difficulty of the Church at the time. At least I came to this conclusion. I tend to agree. Unfortunately, both Matthewites and Florinites don’t agree, or at least will agree that everyone else is wrong on that contention first, and then deal with their individual problems later, usually by not agreeing. Considering some folks have devoted their time to calling this site the main website of “Old Calendar Ecumenism”, “jurisdictional ecumenism”, et cetera, I cannot but agree. It gets tiresome, really, as the years go on from a personal aspect. My faith has never changed. Nor has my commitment to honesty. So I generally don’t refer to such ideologues as “extremists”. I love extremists. I refer to such people as “lying”. I remember, about 3 years ago (or maybe 5??) I read Fr. Stephen Fraser’s book. It was interesting since it was from the Matthewite perspective. However, what was interesting was that he stated that the Matthewite Synod (the main one, I guess under Abp. Nicholas at the time?) never officially said any World Orthodox Church did not have Grace of Sacraments except for the State Church of Greece and the Ecumenical Patriarchate! 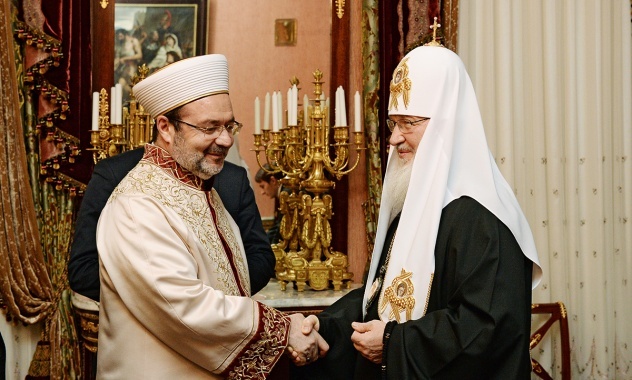 That is, there was no ‘official’ position on the Moscow Patriarchate, the Serbian Patriarchate, Jerusalem Patriarch, Georgian Patriarchate, etc. However, he also states it was the then official Matthewite position that there were true bishops in Greece from the period of 1924-35. However, this must have been before the 2007 Encyclical which stated that officially that ‘there were no Orthodox bishops’ in Greece from 1924-35. However, I fear that the Matthewites have painted themselves into a corner, and the only way to get out is by stepping on the paint and getting their shoes messed up. Everyone else in Church else has had to do this. Imagine the case of St. Cyril of Jerusalem, Paulinus of Antioch, Meletius of Antioch, etc. During that whole 4th century, as St. Basil said, the Orthodox just as often accused each other of schism, heresy, blasphemy, uncanonicity, as they did the Arians; you had real problematic actions among the Orthodox, such as Luciferus of Cagliari’s single-hand consecration of Paulinus; the fact that Orthodox Rome and Alexandria officially rejected its canonicity, but, they accepted St. Meletius under condition it profess the Orthodox doctrine fully; St. Athanasius attempts to mediate; St. Basil attacked by zealot monks fore being ‘soft’ on heresy; St. Jerome stating that St. Cyril was an heretic and no true bishop (though St. Jerome vigorusly defense Paulinus of Antioch, who in fact, ordained St. Jerome). It just can’t be chalked up to ‘no one had all the facts’. There were honest and conflicting interpretation of how to fight Arianism, who did something wrong, how such a bishop was not properly received, who did this, and that. Yet, strangely, St. Meletius, who had the ‘worse’ case for canonicity, because he was consecrated by crypto-Arian and semi-Arian Acacians, and was considered a ‘flip flopper’ on Orthodoxy by the Eustathians, came to be recognized widely as a saint, though, many like St. John Chrysostom who was ordained by St. Meletius later left him and joined the Eusthathians under Paulinus’ successor, Evagrius, and was made priest by him. What makes all this and more that you find far worse was that this was after an Ecumenical Council had anathematized the Arian heresy and laid out canons to be followed strictly; apparently, a lot of Orthodox people and clergy had real problems following it. How can the schismatic New Calendar bishops have the empty “form” of the high priesthood and then receive the grace to fill the form from persons who don’t possess episcopal grace?? If we consistently applied the rule St. Simeon of Thessalonika, who believed that everyone is judged by those who ordained him, then Bp. Matthew truly can ordain singlehandedly and depose a higher ranking bishop without a trial. The Rule states that priests and deacons are judged by their bishop, a bishop is judged by his Metropolitan (or Archimandrite Matthew), a Metropolitan is judged by his Patriarch and the synod, and a Patriarch (or Pope) who holds the highest rank, is judged by a great synod. Again, basic and fundamental principles are turned on their heads and branches are cutting their own trunks. That would be ignoring the canons which specify how Bishops are to be deposed by other bishops. I agree some of this is not making sense, Maximus. All would agree that Met. Chrysostomos and Met. Germanus were certainly true bishops since they were consecrated in the early 1900s before any issues. However, the problems comes when you have many, such as the Matthewites saying since their 2007 Encyclical they official affirm that ‘there were no Orthodox bishops in Greece from 1924-1935″. This apparently was believed by a great many people even in the 30s and 40s. If that’s the case then Met. Chrysostomos and Met. Germanus lost the epsicopate they had; the question then is, “how was it restored and by whom?” The answer given is by the Matthewite synod, and I suppose by some ‘Florinites’, is that it was restoed in 35 when they read a statement condemning the new calendar infront of Fr Archimandrite Matthew, other presbyters and clergy, and 25,000 laity. However, there is no precedent in Church history for presbyters and laity receiving back Bishops into the Grace of Priesthood once they have lost that Grace. You don’t find it; even the case of St. Sabbas isn’t accurate, since then you are ignoring his position as legate of St. Elias (thus, to accomadate that to the 1935 event, you would have to say that the presbyters there were acting as the legates for a Synod of bishops or a true Patriarch, which were not doing), and more. The simplest explanation would be that a lot of people were wrong about how things were done and what was said, despite them being correct in their resistance to the New Calendar and attempts to reform a Church Synod, even though it was never ultimately successful for the majority of True Orthodox until the late 1960s. If one holds to this line, Archimandrite Matthew and the strugglers with him were granted from God the most uniquely powerful gifts of grace in the history of mankind. An Archimandrite and his people with the authority to accept, consecrate and depose Metropolitans all on their own. The above quote you give is actually from the late 1940s when the Matthewite assembly of laity and clergy voted to authorize Bp. Matthew to do a single-hand consceration. Your third paragraph is true. It would be singular and unheard of in Church history for a presbtyer and laity to do what they are claiming they had the power to do in 1935 with Met. Chrysostomos and Met. Germanus. This is why the Matthewite argument is not a good argument; like I said below, they’ve painted themselves into a corner, as have others. Well, really, to canonical depose a priest, you have to have 6 bishops. The ruling bishop can suspend, but, the deposition should be confirmed by 6 bishops. You could, I suppose argue that this just means that the priest can appeal to 6 bishops, but, you should still have an ecclesial trial, etc. To depose a bishop you need 12 bishops (and the bishops have to be disinterested parties, that is, none of those bishop are allowed to be accusers and judges and thus biased). You either need 1 or 3 bishops to depose, canonically, a deacon (maybe 1? it’s in the Rudder). However, as I recall there were in fact two cases in the late 1820s during the Greek War of Independence, when a bishop single-handedly consecrated someone. The one case I fully remember was when the bishop honestly believed from information he had received that all the bishops had been killed, and the Turks would trying to finish off the Church in Greece fully; for fear that the hierarchy would be extinguished permanently, the Bishop did a single hand consecration of an Archimandrite. However, after they found out what the real situation was, they were kind of in trouble. The single-handed consecrated bishop was given cherothesia, I believe, and accepted as a bishop. The other case, which I’m vaguer on, was somewhat similar, but, the Synod ruled that the Bishop was wrong to do what he did, and the man who had been single-handedly consecrated was judged to remain in the presbyterate. The idea was always that, unless you have permission from a Synod (or, I suppose, you thought you were the only Bishop left on earth), you need some form of confirmation or validation of such actions. St. Gregory Dialogus and the Roman Church in around 600 AD allowed St. Augustine of Canterbury to do a single-hand consecration because it was beyond reasonable to expect or get anymore bishops into heathen England. The Welsh Bishops had already refused to have anything to do with St. Augustine’s mission, and so, he was given permission. With a Confession of Faith…. Yes, But, traditional a Confession of Faith FOR BISHOPS to be received BACK as Bishop must be done before True Bishops. Have you read the section from the 2007 Matthewite Encyclical which states that there were the Orthodox in Greece had no bishops for 11 years. That’s because they believed the New CAlendar Church was schisamtic and therefore their bishops lost grace. There questions till remains as to how presbyters can give back the Grace of Priesthood. However, if merely a correct Confession of Faith is all that is needed, then each jurisdiction that simply issues a true Confession of Faith would be Orthodox again, even if not received by a true Synod. If the Greek Church was truly schismatic and graceless in 1924, what about the rest of the Church that knowingly remained in communion with them… including ROCOR? The notion that what someone believes to be the correct faith can give presbyters and laity authority over and above the hierarchical order and authority established by God in the Church is a Protestant notion. All I’m saying is that in Orthodoxy, apostolic order AND faith must be followed. True Apostolic Succession is not merely the tracing back of hand layings like in RC theology, nor is it merely the correct faith without the episcopate and other external forms. It’s both. Yes, in ordinary circumstances. The problem is that the circumstances back then (arguably even now) were hardly ordinary. Like I said once, at this point only the Merciful God seems to know who is in The Church. The Lord knows those who are His, amen. I’ve actually found a historical situation where groups of laymen had authority over erring bishops: the Unia. The leading role in the defense of Orthodoxy was now assumed by the famous “brotherhoods” [bratstva], whose network soon spread over the whole of the western lands. HOWEVER, these laymen didn’t derive their authority from their Orthodox confession, they derived authority from the Patriarch. They also received royal support. Even with those circumstances, this was extraordinary. To just claim to have right faith and then believe that gives one the power to judge and bequeath grace to hierarchs is heterodox in my opinion. The above quote from St. John seems open to multiple interpretations. Indeed. Every quote is open to multiple interpretations. I posted it for his reference to the Bratsva and the Unia. That’s it. Even if Chrysostom of Florina did regain his episcopal grace, wouldn’t he have lost it again when he maintained communion with and sought aid from the other Eastern Patriarchs in communion with the schismatic State Church of Greece? This is getting quite scholastic and silly, I know, but it begs the question. This RTOC thread has really gone the distance!! Yeah, it has. But, I guess, ultimately, all these questions and things are intertwined and inter-related! This is why Metropolitan Chrysostomos and others continued to travel and work with people in Jerusalem and other Patriarchates. This was the intention all along, as long as those Patriarchates retained the Old Calendar and were friendly. You can even find illustrations in pamphlets published by the Matthewites in the LATE 1940s which show the Antiochian and Jerusalem Patriarchates as part of the Church: http://www.slideshare.net/SpyridonVoykalis/1935sketch-39568090 since they retained the traditional Calendar. The attitude of the vast majority of ‘Old Calendarists’ in Greece gradually hardened to the Patriarchates as all of the Eastern ones adopted the New Calendar save Jerusalem. It also became impossible to work with them especially in the 1960s with the rise of ecumenism to an extremely prominent place. It is therefore possible to firmly place the disconnect between the majority of Greek Old Calendarist, i.e., True Orthodox, and the Patriarchates in the same period that ROCOR began to withdraw from them. Before it was mostly an issue with Greece, later it became more than that. NFTU Forum topic: https://nftu.net/nftu-forums/#nabble-td5004139 The official GOC position was to collaborate with all Old Calendar Patriarchs that were willing; they did it form the beginning (and had many supporters in these Patriarchates). By the 1960s it was largely impossible to continue this policy though. I have some materials from Archbishop Matthew in Bulgarian. Many of his writings are apocryphal. It seems nobody wants to know what his opinion on ROCOR was and etc. Where could I get Stavros’s documents? I am looking for them too? “On May 13th, 1935, Germanos (Mavromates) Bishop of Demetriados, the former Bishop of Florina Chrysostomos (Kavourides), and Chrysostomos (Demetriou) Bishop of Zante, severed all Ecclesiastical relation and communication with the New Calendar Church and they renounced it officially as being Schismatic, in front of 25,000 people at the Holy Temple of the Theotokos (Epidaurou 14, Kolonos, Athens), but also professionally by means of a judicial bailiff to the New Calendar Synod, and with announcements to the daily print of Athens. So, the idea is that the two bishops, who have become schisms by remaining in the New Calendar Church, became again part of the Orthodox Church (Ekklesia) by public Confession of Faith before a group of presbyters and laity. Again, this is a matter unheard of in Orthodox history. Do you know where to find the different writings (in Greek, or other languages) of Bp. Matthew, i.e., his letters, encyclicals? Struggle. Perhaps this was misinterpreted. Yes, what Fr. Joseph said. The RTOC explanation, as I understand, is that the ROCOR synod in 1994 did not fully understand what they were agreeing to, and therefore, they do not bear full guilt, etc. The Florinites sent them a memo saying Cyprian was a deposed bishop. Technically by 1986 it wasn’t all of the Florinites, but the Synod later known as the GOC-Kallinikos, as the Synod had been split by the trial of Abp Auxentios in 1985. You don’t understand what the Church of Christ, what the Body of Christ is. For you it appears to be an exclusive club of one-upmanship to the exclusion of those lost souls who cling to your approval or friendship. You attempt to subsume into your limited minds the Divine when in reality you merely derive the prelest’ (false bliss) through the pleasure you enjoy in diminishing others. Did Christ say that on the Dread Day of Judgment He will ask who of you were in some local schismatic sect or other? Or will He ask: who fed Him when He hungered, who clothed Him when he was cold…? Come to your senses; we will not live on this earth forever. Let us all rejoice in being among the flock of His lambs and not dumb sheep following prideful and hate-filled “clerics” who deceive you. Since you’re not addressing this to a specific person, shall we assume you’re addressing it to…everyone? Confusing how such a statement can be made, based on the actual evidence. 3 people have asked me to write a response, but I hesitate because I am not an official anything and because in the grand scheme of things I am a nobody. But this sort of thing is vexing and causes confusion. I guess if people want to see a response from an unofficial GOC position, like my comment. If there is enough interest, I will do it. If not, I will continue doing things like taking care of my two beautiful daughters, three lovely stepchildren, website work, and writing about more edifying things. Lord, have mercy on us all. Let’s hear some words of magnanimity (and sanity) from a true champion of the Orthodox Faith. How would St. Cyril of Alexandria deal with this issue? Yes. They felt it best not to do so, lest many people be scandalized by the idea that a man who died in the general peace of the Church, should be condemned. However, Theodore of Mopsuestia, was EVENTUALLY condemned by NAME at the 5th Ecumenical Synod; however, only certain writings of Theodoret were condemned, though, not his person (unlike Theodore, who was condemned in person and writings, like Origen). Of course, the Three Chapters controversy that resulted precipitated the Istrian Schism which lasted for 150 years. I highly suspect that if Metropolitan Valentine were still around, we would have not seen something like this. How so? Are you sure you are not confusing RTOC with ROAC? I probably should have prefaced my statement or kept my mouth shut (some things I’m still working on). Back when this great union of ours was just a prayer for the future, I had several discussions with our hierarchs regarding the various post ROCORs bodies. I expressed at the time a strong preference for Metropolitan Valentine and ROAC as I found him to be an honorable man and a very good bishop. I also voiced my concerns about Metropolitan Agafangel and some inconsistencies I had observed with him over the years. There were some other issues with him as well that other people have begun voicing lately. In our discussions at the time, our hierarchs concurred. I still have these same concerns along with others that are beginning to manifest with Metropolitan Agafangel but am willing to defer this matter to our GOC bishops. In regards to the RTOC; I am convinced that nothing that the former SiR do will satisfy them. For that matter, there’s nothing any of us can do to make them happy (and it makes me unhappy thinking about it). Some times we just have to accept that and keep doing what we do. What the RTOC requires is that the former SiR bishops need to produce a signed public statement stating they repudiate their “sick Churches” theory and anathemize those holding to it. Whether the Almighty God requires such a statement is quite another matter.